I thought I was gonna ride with some men. You're just a bunch of animals. 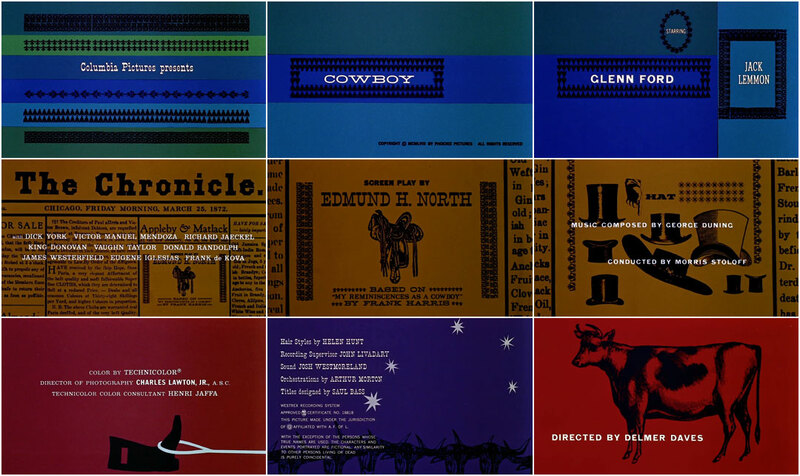 Author Pat Kirkham discusses the opening titles for Cowboy, from her authoritative book Saul Bass: A Life in Film and Design. 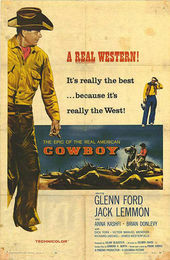 Cowboy is based on the real-life story of a former hotel clerk turned tenderfoot cowboy (Jack Lemmon) who joins a cattle drive led by a tough trail boss (Glenn Ford). Set in the Old West, it conveys some of the unglamorous realities of the cowboy way of life in nineteenth-century America.